We believe our clients make the best decisions when they have all of the information they need. Accordingly, we are pleased to offer the answers to many questions past clients have asked. If you don't find an answer to your question, don't hesitate to send us an e-mail or give us a call at 330.335.5262. We'd love to talk with you! What are your standard features? What do you consider the most important part of building a home for someone? Communication between the Contractor and the Client. I have been involved in residential and commercial custom building and renovations for over 30 years. What size of homes do you build and where? Relative to size, we are open to our clients' needs. We typically build in Medina, Wayne, Summit, Portage, Stark and Cuyahoga Counties. What style home do you build? We are a true custom builder; there is no limit to the styles we can build for you and your family. View our photo gallery or floorplan library to be inspired. Does your company do renovations, remodeling and room additions? Absolutely. Please contact us for a consultation and view our photo gallery to get inspired. How often are you at the job site? We are on the project each and every day. We also encourage our clients to visit the job site as often as possible. Yes, we have General Liability Insurance along with Workers Compensation. How many homes do you typically have under construction at any given time? To assure that each home will recieve the personal attention it deserves and to enable us touse only our trusted subcontractors, we seldom have more than four homes under construction at a time. 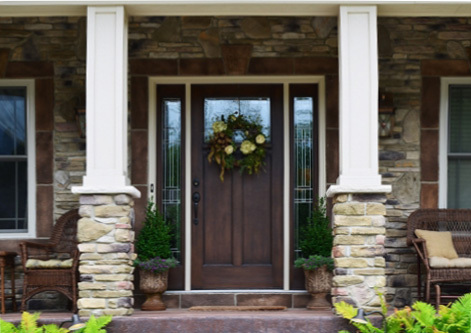 What sets Gatliff Custom Builders apart from the competition? In other words, "not just another fancy icing on a less than desirable ingredient cake!" What questions should I consider before I decide which builder is best for me? How long have they retained their current subs and vendors? Do they carry a general liability insurance policy? Have you visited one of their homes whle under construction? Do they and their subs keep a neat and orderly job site at all times? How does their service compare to others? Are they as well respected in the building industry? Will they provide a list of customers and trade references?